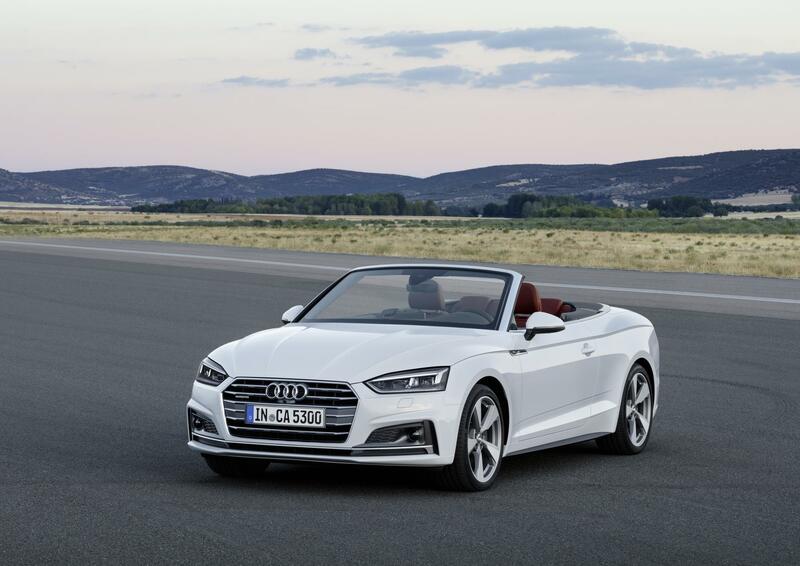 The new Audi A5 Cabriolet has been unveiled and it’s impressive. 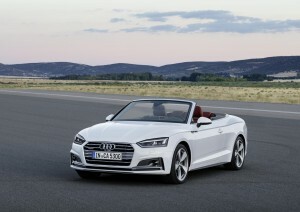 The new Audi A5 Cabriolet is joining an impressive line-up and the soft top is sure to be a big success. For one thing, it now offers the best in class for torsional rigidity and its overall weight has fallen by 40 kg. Owners will also find three engines available from launch, there are two diesels offering power and economy. They include a 2.0 litre and a 3.0 litre TDI units as well as a 2.0 litre TFSI petrol unit producing 252 PS. For those who love soft tops and don’t want to shout to their fellow passenger, the Audi A5 Cabriolet offers seat belt mounted microphones to overcome that problem. The microphone can also be used to access the car’s controls and offers a free text search facility. There’s also a fully automatic acoustic roof fitted as standard which has a simple one touch operation. The roof can be lowered or closed at speeds of up to 31 mph in less than 18 seconds. The new Cabriolet also does away with traditional analogue instrument dials which are replaced with the firm’s excellent virtual cockpit which has various display options. Among the standard equipment list for the Audi A5 Cabriolet is a 12.3-inch touchscreen for the satnav and infotainment system and there’s also the option of a head-up display onto the windscreen with the car’s relevant in formation. For those who opt for the Technology Pack, there’s free three years of access to Audi’s connect online services as well as live satnav map updates. As potential owners will expect, there’s lots of equipment as well including leather upholstery, acoustic parking sensors, front seat heating and three zone climate control. There’s also alloy wheels and LED or xenon headlamps. Other models in the line-up come with larger alloy wheels, sports seats, different chassis settings and a sports styling. The Audi A5 Cabriolet is a great looking and great performing car and joins the recently unveiled Coupe and the excellent Sportback five door model. Fans of the model will see that the rear window has more of a rakish stance and the overhangs are shorter than the model it replaces. This entry was posted in Car Leasing, Cars, Executive Cars, Popular Cars and tagged Audi A5 Cabriolet by Steve Lumley. Bookmark the permalink.